Take a train on the Sagami Railway Main Line, get off at Sagami Otsuka station. Leave the station from the south exit and down the stairs. Walk down the road in front of a convinience store named "Three-F" towards the traffic light. Turn right at the traffic light, and down the gentle hill untill the intersection of Sagami Otsuka ,where you can find Koma sushi shop. Turn left at the intersection, and you can find our hospital at the end of the road. Approximately 1 km from Kamisoyagi intersection through national route (Kokudo) 246 (so called Yamato-Atsugi By-pass). ・From the direction of Atsugi using national route (Kokudo) 246 (so called Yamato-Atsugi By-pass) After passing the intersection of Sagamikoyokan High School, go to the left side road. Turn right at the next Kamisoyagi intersection and go straight. 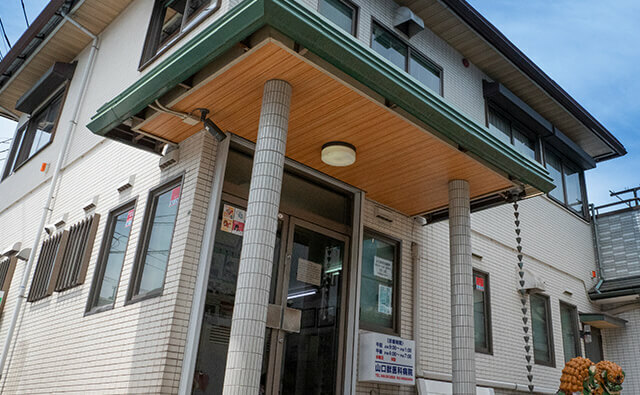 After passing Sagami Otsuka intersection keep going straight, you can find our hospital at the end of the road. ・From the direction of Yamato using national route (Kokudo) 246 (so called Yamato-Atsugi By-pass) Pass through the Yamatoshi Fukami Nishi pedestrian bridge. Go to the left side of the road at the sign that reads「左道　海老名・鶴間駅(Left side road Ebina Tsuruma station)」, turn left at the next Kamisoyagi intersection and go straight. 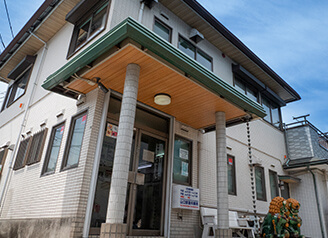 After passing Sagami Otsuka intersection keep going straight, you can find our hospital at the end of the road. There is no need to make an appointment to be seen. (We will respond on a first come first served basis. Feel free to ask us if you have any questions about the hospital. Copyright 2019 神奈川県大和市の山口獣医科病院 All rights reserved.